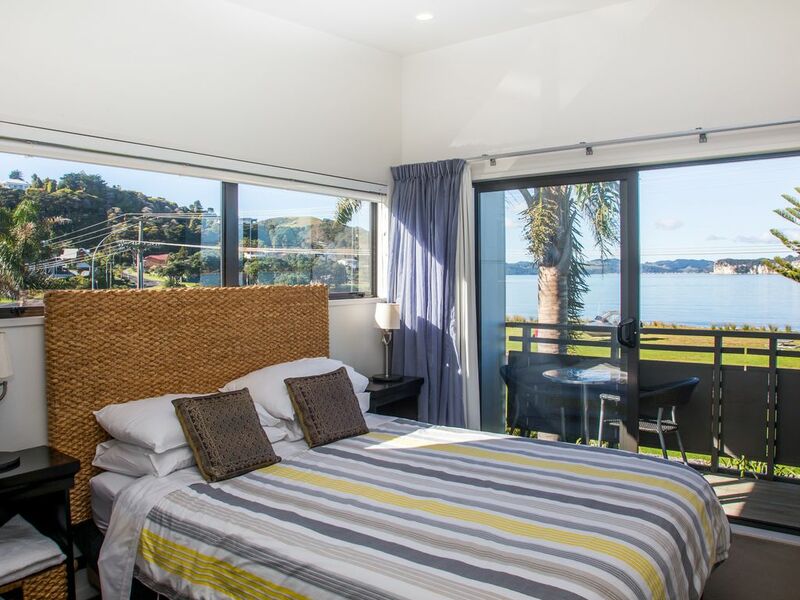 The apartments has two levels, on the lower level there is an open plan kitchen, dining and living area with a ranch slider onto the deck and views of the bay and township. There is outdoor seating for your use. The modern kitchen is well equipped with fridge and freezer, dishwasher, oven, stove and grill, microwave, kettle and toaster, utensils, cutlery and crockery. The lounge has seating for enjoying the view or watching freeview television and there is a dining table. The master bedroom is upstairs with a ranch slider opening up to a full deck along with the twin bedroom. Also upstairs is the bathroom with toilet, vanity and shower. Fully furnished and self-contained, all towels and linen provided. Lovely warm apartment with everything we needed for a relaxing stay. A beautiful warm and open apartment with views of the sea. A beautiful warm and open apartment with views of the sea. We enjoyed our stay! Great view of the bay from the living room and short drive from town. Great view of the bay from the living room and short drive from town. House was spacious and had everything we needed (including beach towels and iron). Great outlook, spacious with all the facilities required, good car parking provision, pleasant walk to town. We look forward to our next stay. It would be helpful to have salad servers & tongs in the kitchen & more than 5 knives. It would be helpful to have salad servers & tongs in the kitchen & more than 5 knives. Also for a beach location I would recommend an area where fish can be fillited. Location was great & property tidy. Ideal for people who just want to use the beach.